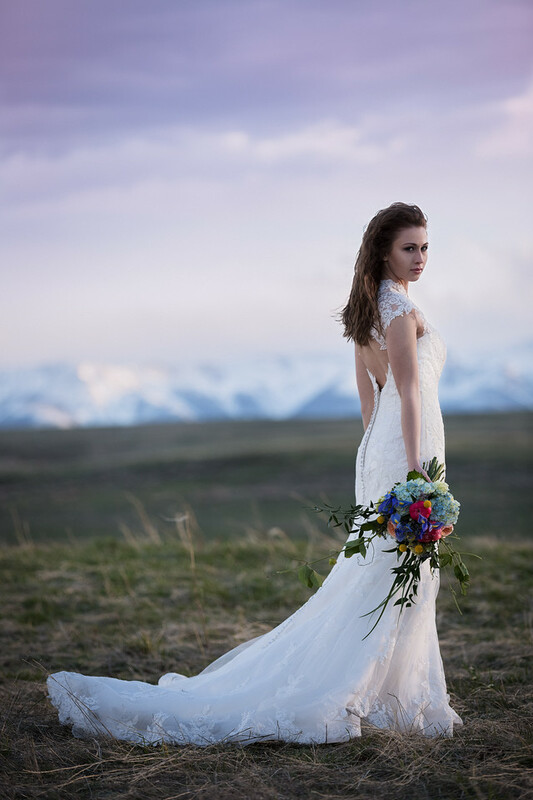 I’ve been spending some time in the Beartooth Mountains, and I’m getting excited for mountain weddings this summer! The weather is still too cold and unpredictable for typical mountain weddings, but more daring brides and grooms are already tying the knot in the mountains of Montana. Personally I can’t get enough of the mountains no matter what time of year it is or how bad the weather might be. Thanks to my awesome clients, I’ll be in the mountains a lot in the next few months with mountain engagements and weddings throughout the summer. Stay tuned for a lot more mountain action on the blog soon! This photo is an outtake from a bridal fashion editorial I did last spring in the mountains with an outstanding team led by Katie Bennett and Cassie LaGreca. Billings Montana is so lucky to have these awesome ladies raising the bar for all things weddings, floral, and design. Full credits below. I am Montana wedding photographer Paul Bellinger. I specialize in dramatic, fine art wedding photography that you would be proud to call your first family heirloom. I shoot weddings large and small, from the beaches to the mountains, and it would be my honor to photograph your wedding. Please visit www.paulbellinger.com for more information.